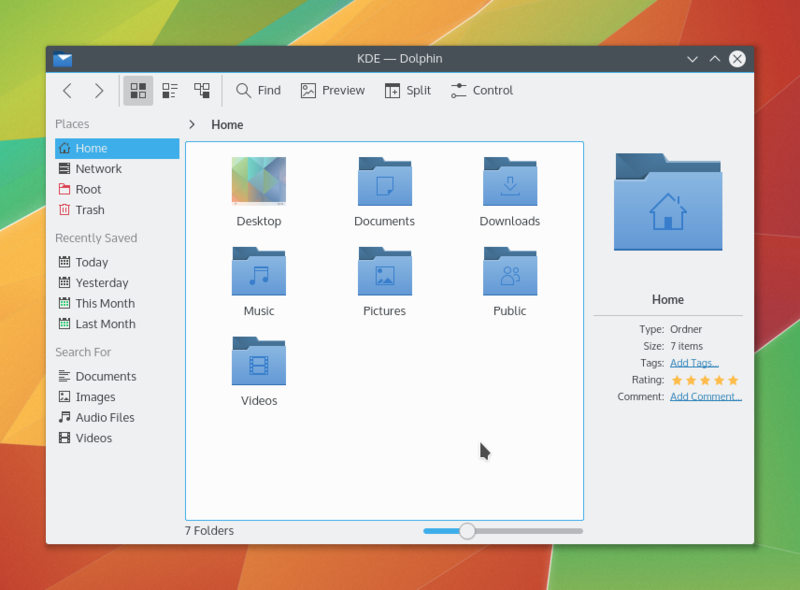 Today KDE released KDE Applications 15.08, the collection of more than 150 applications. This release features the Kontact Suite and Dolphin ported to KDE Frameworks 5. Over the past several months, the KDE PIM team put a lot of effort into porting Kontact to Qt 5 and KDE Frameworks 5. In addition, data access performance has been improved considerably by an optimized communication layer. The KDE PIM team is focused on further polishing the Kontact Suite, and would appreciate feedback. For detailed information about KDE PIM changes, see Laurent Montel's blog. This release of Kdenlive includes fixes in the DVD wizard, along with many bug-fixes and other features, including the integration of some bigger refactorings. More information about Kdenlive changes can be seen in its changelog. Okular now supports Fade transition in the presentation mode. Over the past year or so KDE has taken a new approach to projects joining our "Umbrella" Namely the KDE Incubator. This new program aims to help projects with similar ideals to our existing projects join us with all that that implies. The incubator couples a sponsor from the KDE community with a plan to move/migrate a project into the systems that KDE provides as a community including mailing lists, websites, code repositories, etc. One of the main responsibilities of the sponsor is to help the project's members become part of the KDE community itself by guiding in any way required and helping with source code migration, mailing list migration and figuring out the other aspects of how the KDE community works. One of the first projects to be incubated was Wiki2learn. It has also been one of the slower projects to migrate fully, but at this years Akademy has had some exposure that should help it grow further. You can help making KDE technologies even better! Modern life has become increasingly dependent on software systems. Many daily used devices rely on Free Software for their basic functionality or additional services. TV sets, ATMs, smartphones, media centers and in-flight entertainment systems are examples of how Free Software has been pushing the boundaries of current technology. This is achieved by using well-proven solutions, developed in a collaborative, open, and trusted way. The Workspaces, Applications, and Frameworks delivered by KDE are representatives of the empowerment Free Software provides to our lifes. Examples are educational applications of the KDE-Edu suite, lots of KDE technology deployments in public centers for digital inclusion and a full open software stack for mobile devices with Plasma Mobile. Furthermore, in the past few years KDE has been a quite fruitful community for incubating projects like GCompris, ownCloud, and WikiFM. This is a good indication of how open, diverse, and bold the community turned out to be. KDE also coaches young Computer Science professionals: our continuous participation in programs such as Google Summer of Code (GSoC) and Season of KDE (SoK) has been providing a welcoming and fertile atmosphere for newcomers, helping leverage their technical and social skills and enjoy the full experience of Free Software contribution. Read more about You can help making KDE technologies even better! About a year ago, we talked with several people who were going to work together in Randa, Switzerland. These people were united by a love of KDE and had common motives—to make KDE technology better and have tons of fun while doing it! 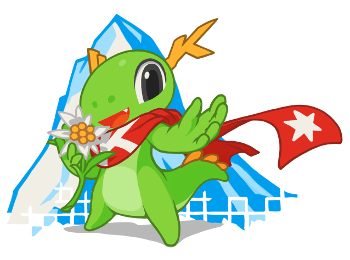 The 5th edition of the Randa Meetings high in the Swiss Alps in August 2014 was a huge success, with many new features and major new additions to KDE technology, through the dedicated efforts of about 50 KDE developers taking a week out of their busy lives to bring great software to users. Among the attendees last year was Călin Cruceru, an enthusiastic Google Summer of Code (GSoC) 2014 student working on Marble, the virtual globe and world atlas. He was one of the youngest members of KDE, and worked ardently in Randa along with his mentors and fellow GSoC students during the week. The 2014 Randa Meetings were productive for the Marble project, and quite an experience for Călin who was in his first KDE sprint. All of this was possible because of your donations to the fundraiser for the Randa Meetings. We are asking you to continue with your financial support this year; we are excited about the Randa Meetings in 2015 with the theme Bring Touch to KDE.